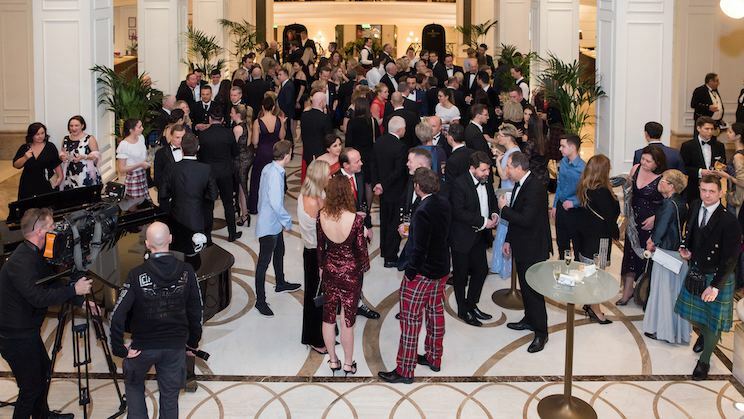 The 22nd Annual Budapest Burns Supper was held in the Grand Ballroom of the Corinthia Hotel Budapest on 26 January 2019, and Expat Press Magazine was there to capture the event. 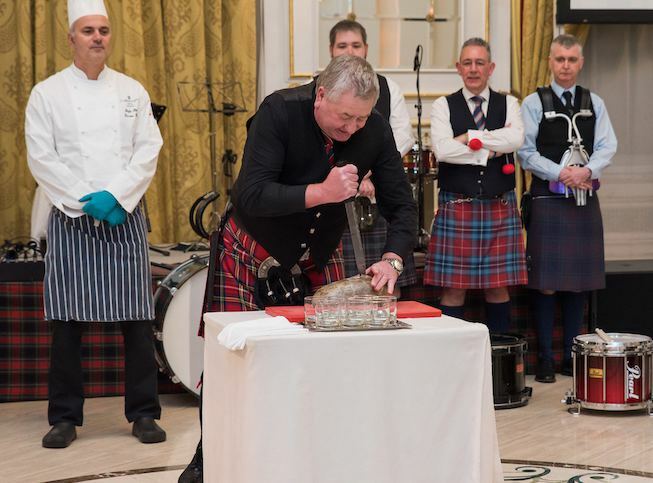 Every Burns Supper has traditional elements, such as the Address to the Haggis. Guests are also treated to Scotland’s national dish of haggis, neeps and tatties as a starter. 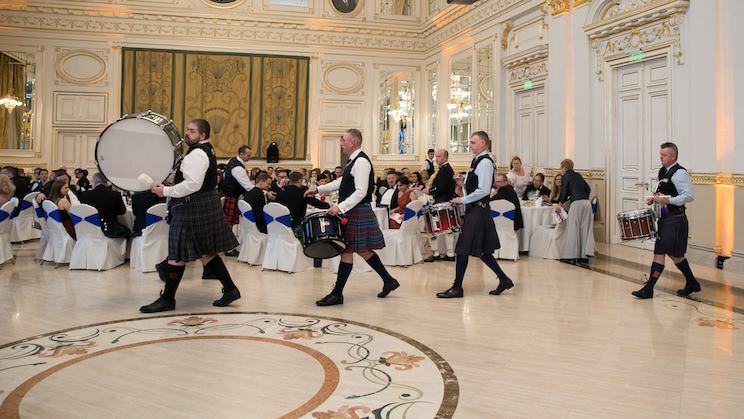 This year, UPS brought over 140 kg of haggis and cheese from Scotland to Budapest. The entertainment was a veritable mix of Scottish and Hungarian culture. Guests first enjoyed the wonderful voice of Rebecka Johnston, singing traditional Scottish folk songs. After that they had the amazingly talented Alison Ewan, a Scottish fiddler who flew out specifically for the Burns Supper. After Alison played she was joined on stage by a Hungarian fiddler and the rest of the Corinthia’s resident band for a truly international performance. The Budapest Burns Suppers have been growing and growing, and have been sell-outs in the last few years. The superb venue provides a great setting for some serious fundraising in the course of the evening, which was helped this year by the auction, online for the very first time, which led to some great competition for the prizes on offer. 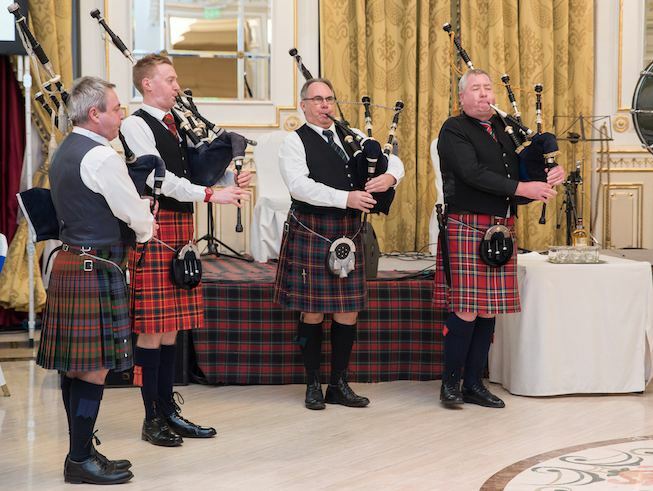 Overall the RBIF raised just short of HUF 14 million, which will be donated to the 2nd Department of Paediatrics in Tűzoltó utca, the Péterfy Children’s Hospital, and other projects to be announced over the coming months by the Robert Burns International Foundation. 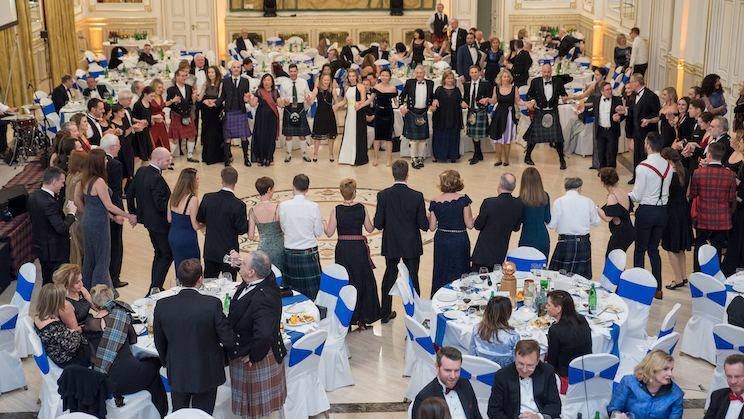 Photos from the Burns Supper can be found on the RBIF website, but also take a look at the video which really captures the atmosphere at the event, and the RBIF is indebted to Péter Thoman at Inter-PR for his voluntary help in recording all the great photo and video memories. The organisers would also like to thank WhiskyNet, Arran Distillery, CocaCola, Heineken, Diageo, Zwack, Miko Coffee, Szentkirályi-Kékkúti Water and Vylyan Wineries, as well as all those who helped with the raffle and the auction. Make sure you like the RBIF Facebook page or follow them on Instagram or Twitter to be sure of hearing all the details about next year’s event in good time, and to find out what projects the RBIF will be supporting throughout 2019.